Past grudges, highly publicized scuffles, and fashion controversies are in abundance that listing them out needs more than one serving. Fashion Feuds is an ongoing series that dishes out the biggest and most notorious catfights in the fashion industry that had kept the press and fans entertained throughout the years. Get the juicy details and quotes straight from the protagonists of these feuds themselves. From top fashion designers calling each others names, to a top model falling asleep during an interview called out by journalists, and a music star turned fashion designer that just doesn't seem to get along well with others, get the back stories and play-by-play account of these events. Kanye West against the world. "Feuds are always present especially in a very competitive industry such as the world of fashion," explains executive producer, Ashley Jordan, "We may love them or hate them but either way, they do invoke human interest, and that's what we are giving our viewers"
Fashion Feuds telecasts on October 14, Tuesday at 21:30 (GMT+8 for Asia / GMT+2 for the rest of Europe), exclusively on Fashion One and Fashion One HD. Check your cable operators for your local TV channel listing. 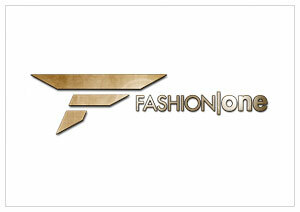 Fashion Feuds is a Fashion One original series. The show is created by executive producers Michael Gleissner and Ashley Jordan, with Aida Murgia as producer.